Control breakouts with the Peter Thomas Roth Acne Kit; a comprehensive set to transform your skincare regime and help regulate sebum production for visibly clearer skin. Ideal for oily, acne prone skin, the kit leaves you with a cleansed, clarified and balanced complexion. Imbued with an invigorating Citrus scent, the alcohol-free, deep clean face wash is fortified with maximum strength 2% Salicylic Acid to help disrupt the breakout cycle while effectively removing pore-clogging makeup and excess oil. Enriched with Allanotin and Pro Vitamin B5, it helps soothe the look of redness and leave skin feeling thoroughly cleansed. A targeted spot treatment, the Invisible Dots work to contain the affected area, with an advanced blend of blemish-fighting ingredients acting overnight to visibly reduce size and redness. Suitable for all skin types, each patch is saturated with 0.5% Salicylic Acid, Hyaluronic Acid and Tea Tree Oil, which work in synergy to refresh, hydrate and heal, effectively diminishing the appearance of acne. The fragrance-free gel seeks to deeply clean and unclog pores with an advanced formulation of maximum strength 2% Salicylic Acid (BHA) working to reduce the look of pores, fine lines and acne scarring. Delivering intensive hydration and nutrients, the concentrated gel contains a 10% Glycolic Acid Complex (AHA), which chemically exfoliates the surface layer of skin to regulate excess sebum production and alleviate acne breakouts. Ideal for moderate to severe acne, the high strength treatment helps control and prevent breakouts with a regulating blend of 5% Collodial Sulfur and 4% Glycolic Acid, which act in synergy to control oil levels on a topical basis. The addition of Aloe Vera, Allanotin and Vitamins work to minimise the look of inflammation and discolouration. Cleanse skin and clear up acne with these multi-tasking facial pads. Drenched with a potent formula of 2% Salicylic Acid and 10% Glycolic Acid plus advanced botanical extracts, the double sided pad delivers gentle cleansing action on one side with the reverse serving as a textured exfoliant. They effectively dissolve dirt, impurities and makeup while the complex blend refines the surface layer of skin to absorb excess oil and clear up active acne – plus the appearance of fine lines, wrinkles and pores are visibly reduced. Clearing Wash: Using a small amount, add water, work into a lather, and massage into affected area making sure to avoid the eye area. Rinse thoroughly. Invisible Dots: Before application, clean and dry affected area. Peel back an appropriately sized patch for the individual blemish. Gently press adhesive side over blemish, covering completely. Press edges to secure and contain affected area. Allow to remain in place throughout the day or night to permit healing. Do not apply makeup or any other topical product over the patch. Clearing Gel: Cleanse skin thoroughly before applying medication. Cover the entire affected area with a thin layer one to three times daily. Because excessive drying of the skin may occur, start with one application daily, then gradually increase to two to three times daily if needed or as directed by a doctor. If excessive dryness or peeling occurs, reduce application to once a day or once every other day. 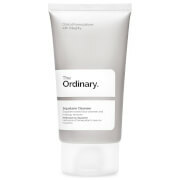 Acne Spot and Area Treatment: Cleanse skin and apply a thin layer on affected area one to three times daily or as needed. Complexion Pads: After cleansing with the appropriate cleanser depending on skin type, wipe pad all over face using the rougher side of the pad first followed with the smoother side. Pads can also be used to freshen up after exercising. 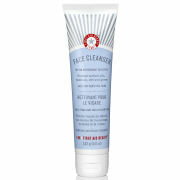 Acne Clearing Wash: Active: Salicylic Acid 2%. Inactive: Allantoin, Bht, Butyl Methoxydibenzoylmethane, Butylphenyl Methylpropional, Citric Acid, Cocamidopropyl Betaine, Disodium Edta, Ethylhexyl Methoxycinnamate, Ethylhexyl Salicylate, Fragrance/Parfum, Lauryl Glucoside, Limonene, Linalool, Panthenol, Peg-120 Methyl Glucose Dioleate, Peg-150 Pentaerythrityl Tetrastearate, Peg-40 Hydrogenated Castor Oil, Peg-6 Caprylic/Capric Glycerides, Phenoxyethanol, Potassium Sorbate, Ppg-26-Buteth-26, Propylene Glycol, Sodium Benzoate, Sodium Benzotriazolyl Butylphenol Sulfonate, Sodium Chloride, Sodium Citrate, Sodium Hydroxide, Sodium Laureth Sulfate, Tocopherol, Water/Aqua/Eau. Invisible Dots: Active: Salicylic Acid 0.5%. Inactive: Acrylates Copolymer, Alcohol Denat., Butylene Glycol, Epilobium Angustifolium Flower/Leaf/Stem Extract, Melaleuca Alternifolia (Tea Tree) Leaf Oil, Phenoxyethanol, Phytosphingosine, Polysorbate 80, PVP, Sodium Hyaluronate, Sodium Metabisulfite, Vinyl Caprolactam/VP/Dimethylaminoethyl Methacrylate Copolymer, Vitis Vinifera (Grape) Seed Extract, Volcanic Ash, Water/Aqua/Eau. 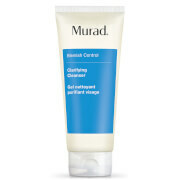 Clearing Gel: Active: Salicylic Acid 2%. Inactive: Water/Aqua/Eau, Alcohol Denat., Glycolic Acid, Butylene Glycol, Cyclopentasiloxane, Glycerin, Arginine, Hydroxyehtylcellulose, Arnica Montana flower Extract, Glycyrrhiza Glabra (Licorice) Root Extract, Aloe Barbadensis Leaf Juice, Retinyl Palmitate, Propylene Glycol, Sodium Hydroxide, Diazolidinyl Urea, Methylparaben, Propylparaben. Acne Spot and Area Treatment: Active: Colloidal Sulfur 5%. Inactive: 2,6-Dimethyl-7-Octen-2-Ol, Allantoin, Aloe Barbadensis Leaf Juice, Arctostaphylos Uva Ursileaf Extract, Arginine, Benzoic Acid, Bisabolol, Butylene Glycol, C13-14 Isoparaffin, Caprylhydroxamic Acid, Caprylyl Glycol, Ceteareth-20, Cetyl Alcohol, Chlorphenesin, Citric Acid, Citrus Aurantium Dulcis (Orange) Fruit Extract, Dipotassium Glycyrrhizate, Dipropylene Glycol, Disodium Edta, Echinacea Angustifolia Extract, Epilobium Angustifolium flower/Leaf/Stem Extract, flavesone, Glycerin, Glyceryl Stearate, Glycolic Acid, Glycyrrhiza Glabra (Licorice) Root Extract, Hexylene Glycol, Hydrogenated Lecithin, Isoleptospermone, Isopropyl Myristate, Laureth-7, Lavandula Angustifolia (Lavender) flower/Leaf/Stem Extract, Leptospermone, Leuconostoc/Radish Root Ferment Filtrate, Magnesium Aluminum Silicate, Magnesium Ascorbyl Phosphate, Menthol, Menthyl Acetate, Methyl Hydrogenated Rosinate, Methyl Rosinate, Methylpropanediol, Morus Alba Bark Extract, Myristic Acid, Octyldodecyl, Myristate, Panthenol, Peg-100 Stearate, Phenoxyethanol, Poly-(Dipropyleneglycol Adipate), Polyacrylamide, Polysorbate 80, Potassium Benzoate, Potassium Bitartrate, Potassium Sorbate, Salicylic Acid, Salix Alba (Willow) Bark Extract, Sodium Benzoate, Sodium Hydroxide, Sodium Metabisulfite, Sorbic Acid, Titanium Dioxide, Tocopheryl Acetate, Triethoxycaprylylsilane, Triethyl Citrate, Vitis Vinifera (Grape) Seed Extract, Water/Aqua/Eau, Zea Mays (Corn) Starch, Zeolite, Zinc Oxide. Complexion Pads: Active: Salicylic Acid 2%. Inactive: Alcohol Denat., Water (Aqua), Glycolic Acid, Butylene Glycol, Hamamelis Virginiana (Witch Hazel) Water, Triethanolamine, Arginine, Chamomilla Recutita (Matricaria) flower Extract, Camellia Sinensis Leaf Extract, Symphytum Officinale Extract, Prunus Persica (Peach) Fruit Extract, Aloe Barbadensis Leaf Juice, Allantoin, Fragrance (Parfum).